Panerai has launched the Luminor Yachts Challenge. This is a watch that comes in three varieties, all in the brand’s signature 44mm large Luminor case and fitted with caliber P.9100. It is fitted with an automatic movement which combines a flyback chronograph with a three-day power reserve. The pushers to operate the chronograph are conveniently located on the left side of the case, while the right is dominated by the instantly recognizable crown protection device. 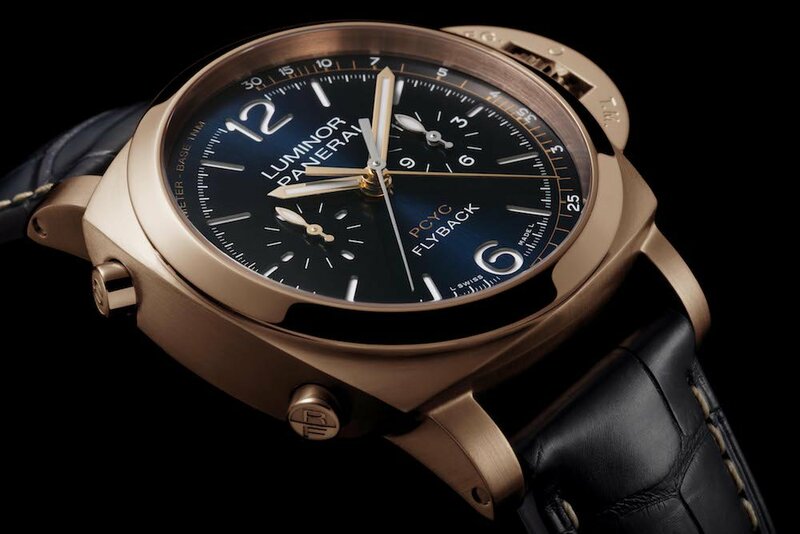 The three watches are full of details referring to Panerai’s rich heritage, and an interesting one is that the tachymeter scale on the watches is in knots. 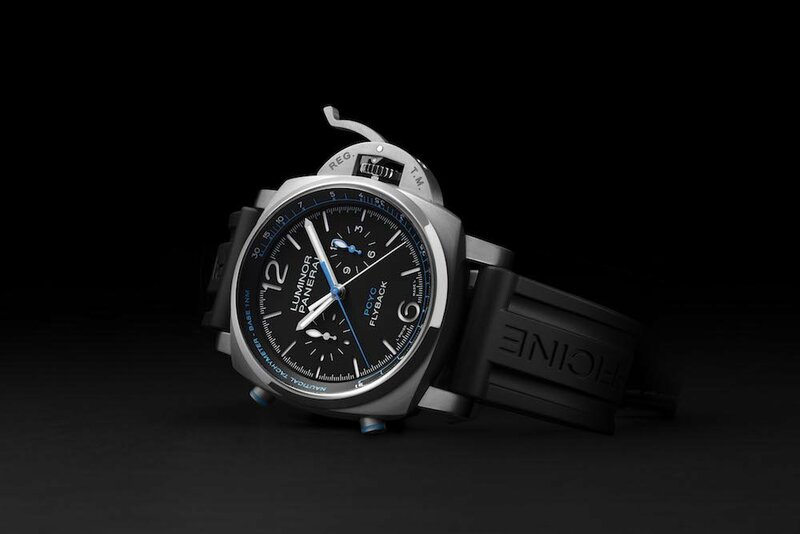 Panerai offers the Luminor Yachts Challenge in titanium with a black dial and light blue details, on their signature rubber strap. On the dial, we find the letters ‘PCYC’ in reference to the Panerai Classic Yachts Challenge. Kudadoo is an adults-only resort that only welcomes guests over the age of 15. 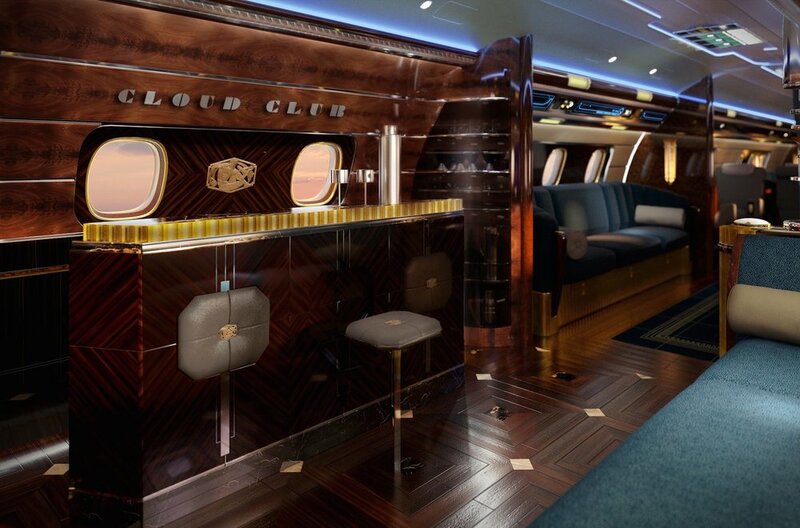 Parties can also rent out the entire island for private events, in which case guests of all ages are welcome. With MB&F you sometimes wonder how they can move on to the next watch based on their past creations. 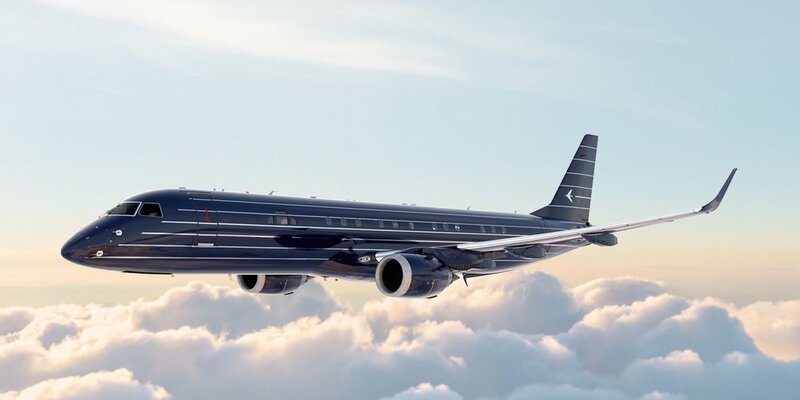 As both their designs as well as their movements are cutting edge, it is hard to see the next logical step, at least when your name is not Maximilian Büsser and you founded the brand. The challenge is to not only offer a new watch with an incredible wow-factor but also to inject it with sufficient MB&F-DNA and have it as a natural extension of the current collection. With the introduction of the new MB&F HM9, we can say once again; mission accomplished! The ‘pods’ on each side of the main body of the HM9 contain a balance wheel, which can be admired through a sapphire window. The rate of them is balanced out by a planetary differential, that is located in the central body of the watch, and displayed at the front of the watch. 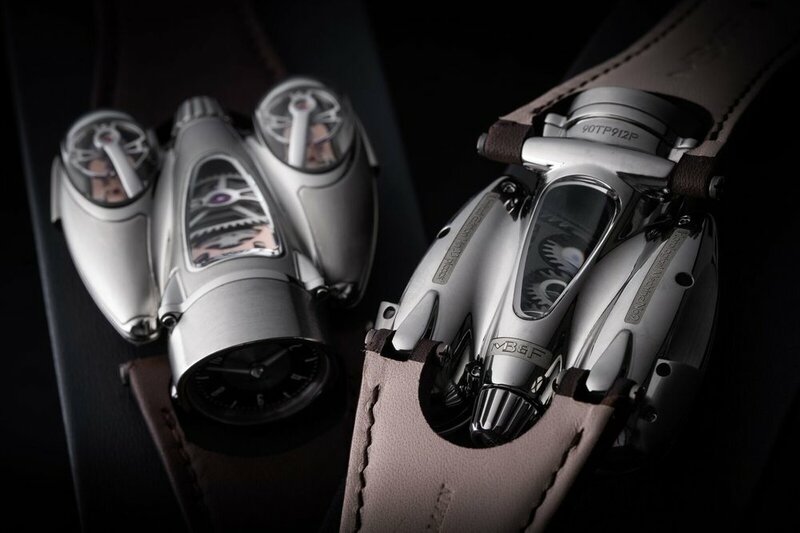 MB&F will launch the HM9 ‘Flow’ in two editions of 33 pieces each, that share the titanium case. The ‘Air’ edition features a dark finish on the movement and a dial in aviator-style. The ‘Road’ edition pays tribute to 1950’s cars with a speedometer inspired dial, and a rose gold plated movement. Two iconic names that join forces and together create a watch: it sounds like a match made in heaven, yet in the watch world there are plenty of examples where such a partnership resulted in watches that couldn’t even uphold their position among the regular collection of the brand. 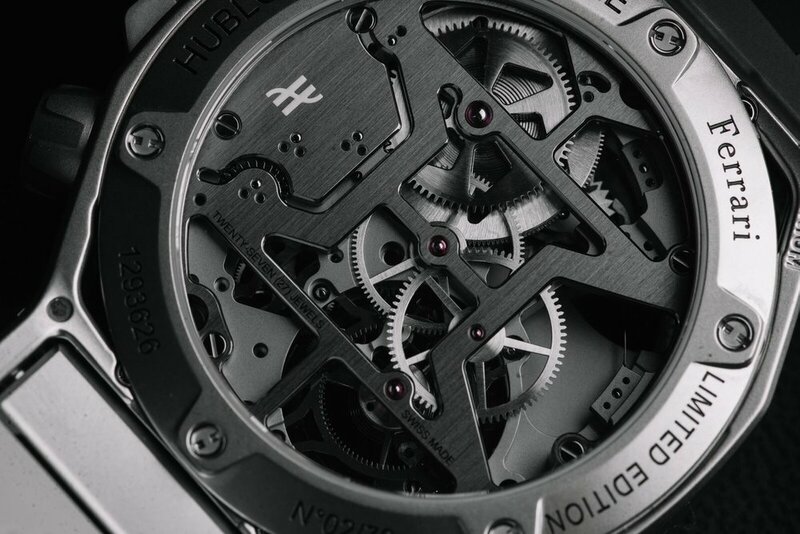 For Hublot, such partnerships have always been a way of life, and their approach towards it has always been organic. They know their own DNA, yet they also know what DNA of their partner makes it such a strong brand. 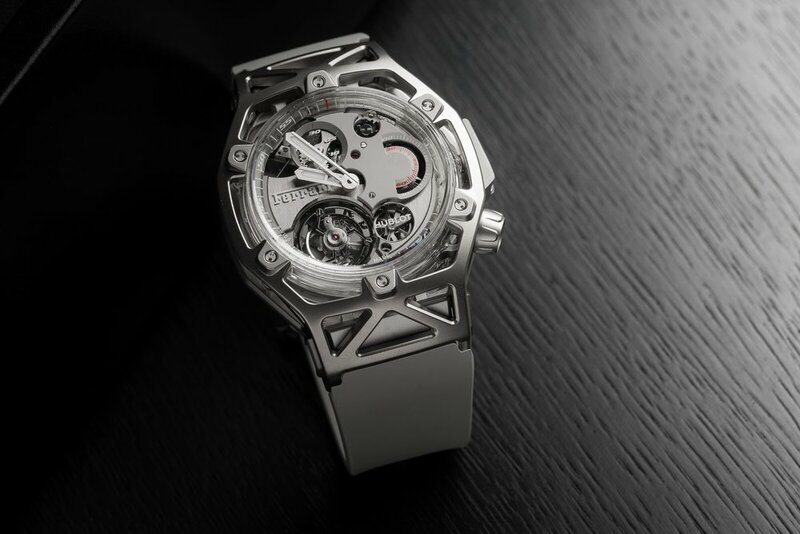 That is why their partnership with Ferrari has over the years resulted in beautiful and innovative watches, with as current highlight the Techframe Ferrari Tourbillon Chronograph. What makes the Techframe Ferrari Tourbillon Chronograph so special is first the occasion for which it is created: the 70th anniversary of the brand with the prancing horse. 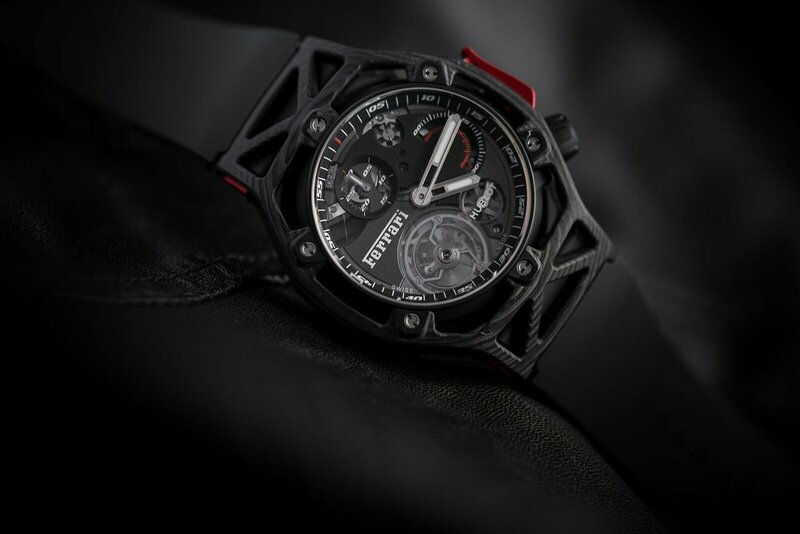 Secondly also the way that it was conceived is unique: Ferrari’s own Design Center, headed by its Head of Design Flavio Manzoni, developed the watch in the same way as that they do one of their sports cars, yet now also integrate Hublot’s watchmaking expertise. 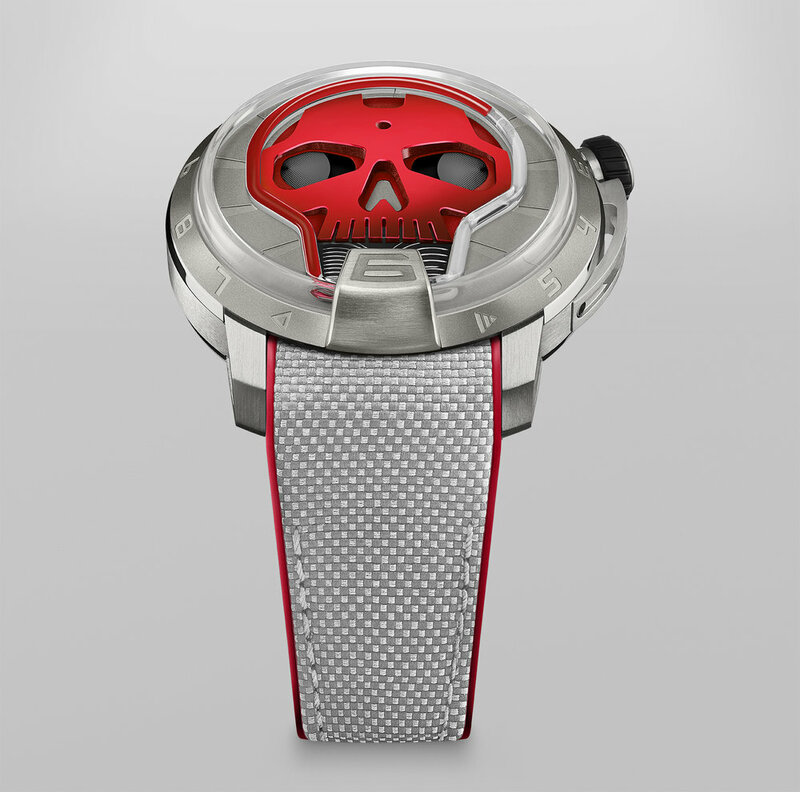 The dial highlights all the technical treats that the watch has to offer. 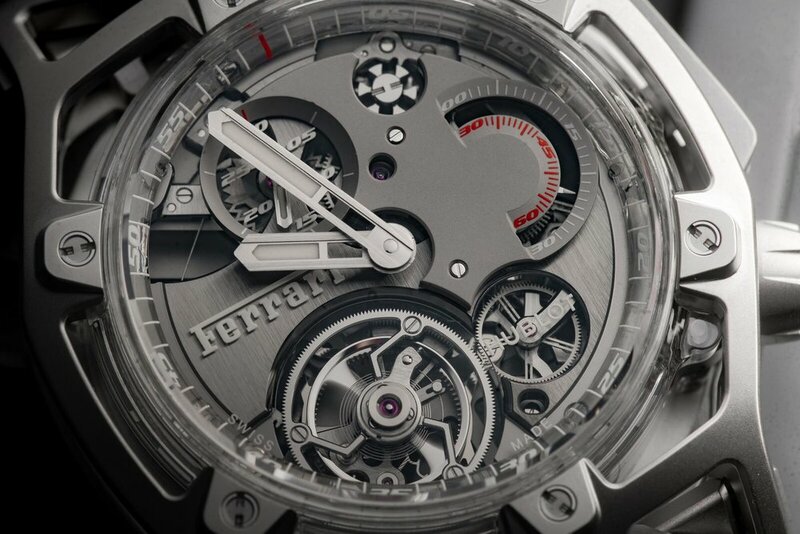 Of course, this includes a flying tourbillon, but also essentials parts of the chronograph are exposed. The chronograph itself is a mono-pusher and operated by a lever in Ferrari red anodized aluminum. This allows its owner to operate it with great ease and precision. The back offers even more of an insight into the amazing movement that powers the Techframe Ferrari Tourbillon Chronograph. Caliber HUB6311 is a manual wind movement that consists out of 253 components and has a generous power reserve of five days. Combined with its flying tourbillon and column wheel chronograph is this caliber complicated, yet Hublot also delivers an aesthetically very pleasing movement as is evident from the back. 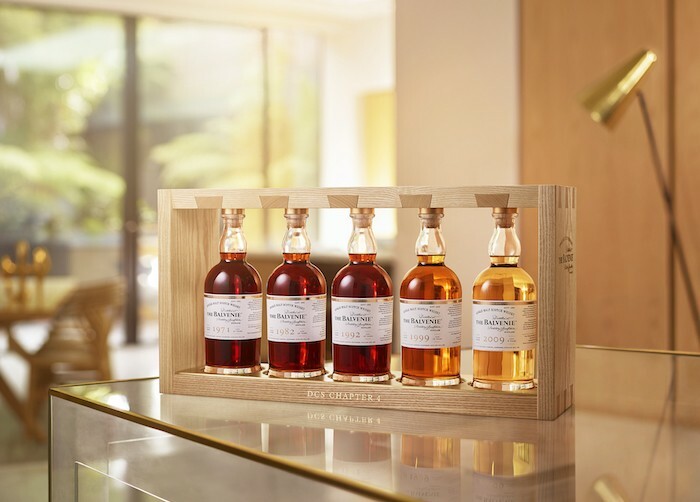 The Balvenie Single Malt Scotch Whisky and Christie’s Auction House are set to debut a first-of-its-kind auction lot fit for a true whisky connoisseur. The exclusive offerings will include The Balvenie DCS Compendium Chapter 4, an eponymous collection of five rare whiskies from the world’s longest-serving Malt Master David C. Stewart MBE, a bespoke Morgan V8 Roadster, inspired by and hand-crafted with The Balvenie in mind, and a trip to Scotland. To complete the experience, the buyer will be invited on a behind-the-scenes tour at The Balvenie distillery, where they will get a first-hand look at the five rare crafts that contribute to the whisky’s distinctive taste and personally experience the magic that goes into each and every drop. It is the only distillery in the world that still grows its own barley, uses traditional floor maltings, keeps both coppersmiths and coopers on site, and employs the longest serving malt master in the industry – making The Balvenie the most handcrafted of single malts. The auction will be hosted on Christie’s online platform with bidding opening at 10 a.m. EST on September 25th, 2018 and closing at 10 a.m. EST on October 9, 2018. Featuring sought-after collector’s items and a unique experience at The Balvenie distillery, this iconic lot is a true testament to both brands’ dedication to quality and craftsmanship of the highest order. This fall, The Macallan, is launching a new immersive event series, The Macallan Manor, reinventing whisky tasting through a stunning, multi-sensorial experience. 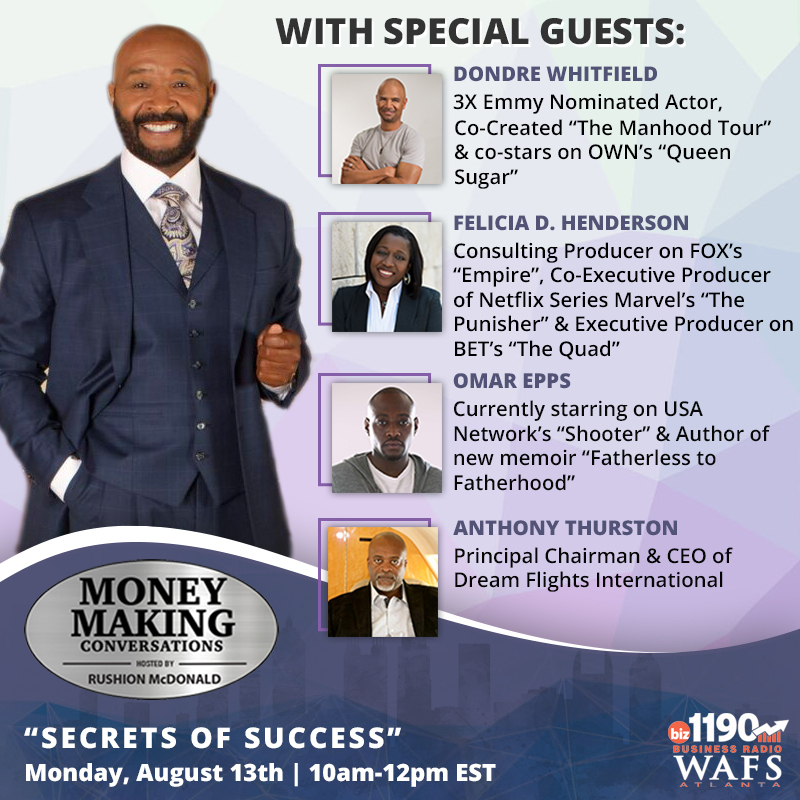 The event series embarks on a three-month tour across nine major U.S. cities starting in New York and concluding in Los Angeles in November. Designed to surprise and delight, The Macallan Manor transforms historic, old-world manors into luxury, first-class tasting experiences, blending the sensorial with storytelling and converting new consumers to Scotch whisky fans. 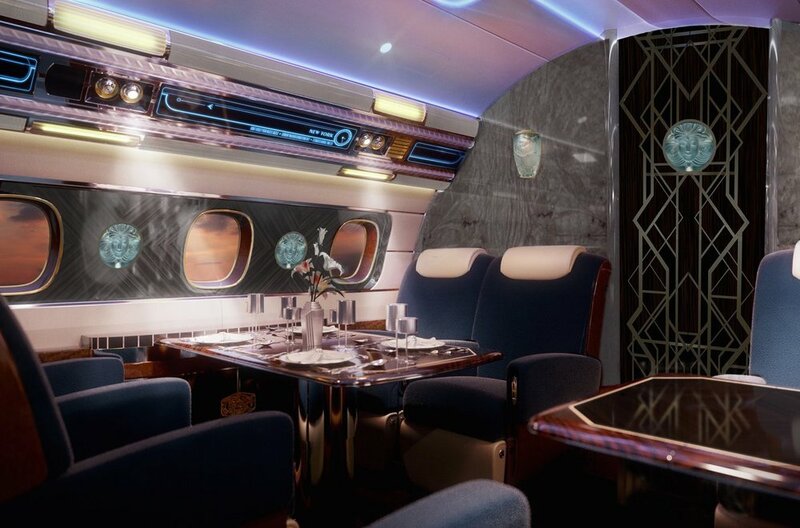 Guests will journey through four immersive worlds, each a unique experience created around one of The Macallan’s whisky expressions, pairing set design with storytelling and multi-sensory experiments to delve into each of the five senses. 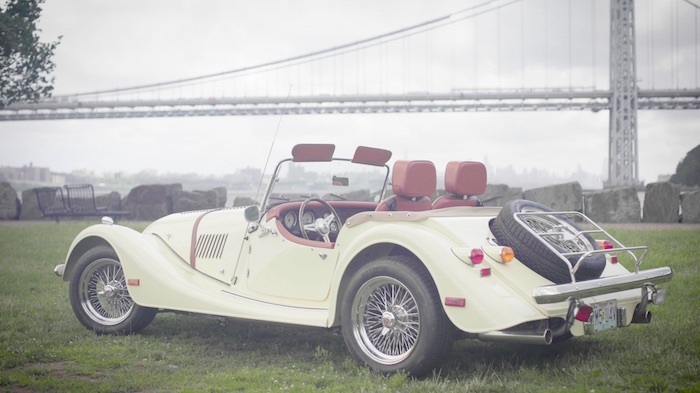 Attendees of The Macallan Manor can expect one-of-a-kind immersive tastings taking place in unexpected locations such as an oak forest with flavor-enhancing flowers imported from the Amazonian rainforest, or a cooperage in Spain. Additionally, guests can expect an innovative food menu, featuring edible clouds for starters – masterfully paired with The Macallan and designed to stimulate and intensify an already premium whisky-tasting experience. 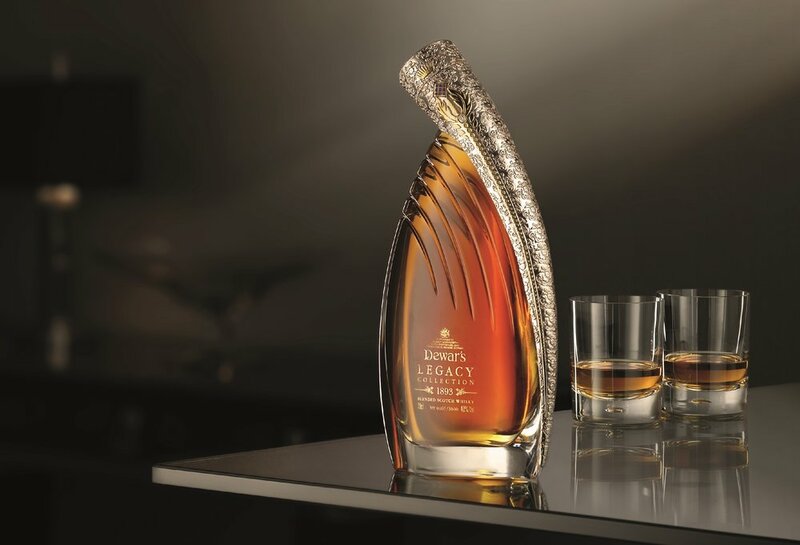 Dewar’s Legacy Collection 1893, of which only 1,000 bottles are available at a price of around $3,900, is described as being “skillfully blended from 20 rare and long-aged whiskies, many of which were used by Dewar’s founder” that were “sourced from rare and long-aged casks from Aberfeldy and Royal Brackla distilleries.” It is the first of three limited edition whiskies in a series celebrating key historical moments for the brand.